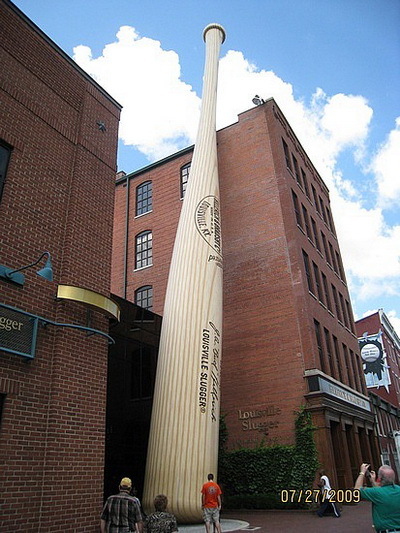 The Louisville Slugger Museum & Factory in Louisville, Ky., includes a bat used by Joe DiMaggio during his 56-game hitting streak of 1941 along with a special area where visitors can hold game-used bats from superstars - past and present. There's even one of the bats used by Babe Ruth during his 60-home-run season of 1927. But the fun starts outside with a 68,000-pound, 120-foot tall steel bat that's a replica - a very large replica - of Babe Ruth's 34-inch Louisville Slugger.